This simple test will tell you when you’ll die. Do you dare try it? Countless tests are usually required at the doctors in order to show the doctor what physical condition ones body is in. Specialist equipment, a lot of time and a huge amount of know-how are all requirements. 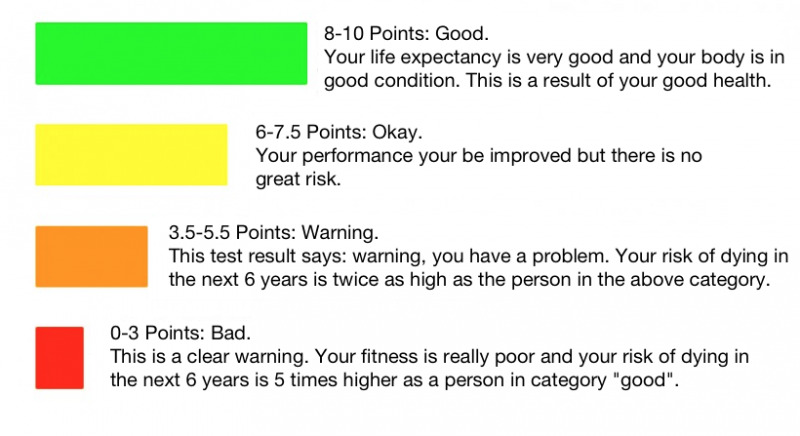 Brazilian doctor Claudio Gil Araujo has now put an end to these circumstances by developing a simple test, which gives a good indication of how fit someone really is. Studies prove the validity of this simple test and doctors worldwide are thrilled. 1. Stand in a relaxed position and make sure that there is no furniture or other objects near you. Cross your legs. You start the exercise with 10 points. 2. Sit cross-legged on the floor. In doing so, you may not support yourself with any body part other than your feet and bottom. If you support yourself using your hand, arm, knee or leg, then you will lose one point. The same goes if your support yourself with your hand or elbow on your own knee. If you stumble and lose your balance, but don't support yourself, then you lose half a point. 3. Sit cross-legged on the floor. As before, you may not use any body part other than your feet and bottom. 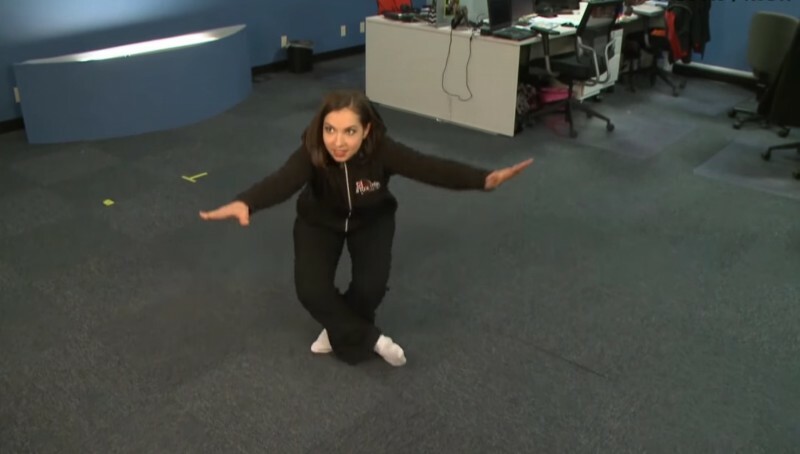 Now comes the tricky part: stand up without using any body part other than your legs. Only your feet may now touch the floor. Lose one point is you support yourself using any other body part. 4. Use this scale to rank your points and take note of how long you have to live in your current physical condition, or whether you should start doing something more for your body. This test of course, is not suitable for everyone. Those with particular illnesses or constraints will not be able to do this. Unfortunately there is no test that works for everyone, but this one is interesting for all of us. People over 50 who fall in the "good" category can be very proud. Everyone else should perhaps push themselves a little harder. It's worth it to exercise and improve your strength, stamina and balance. For every point that you improve on the scale, you'll improve your life expectancy of up to 21%. So if you scored less than 8 points, then conquer your inner couch potato and get a move on. Share this quick test with everyone that you know, and maybe it'll give them a polite warning.